Become an Earth expert and find out all you need to know about our planet - from the tallest mountain to the deepest ocean trenches - in this brilliant mini-book. 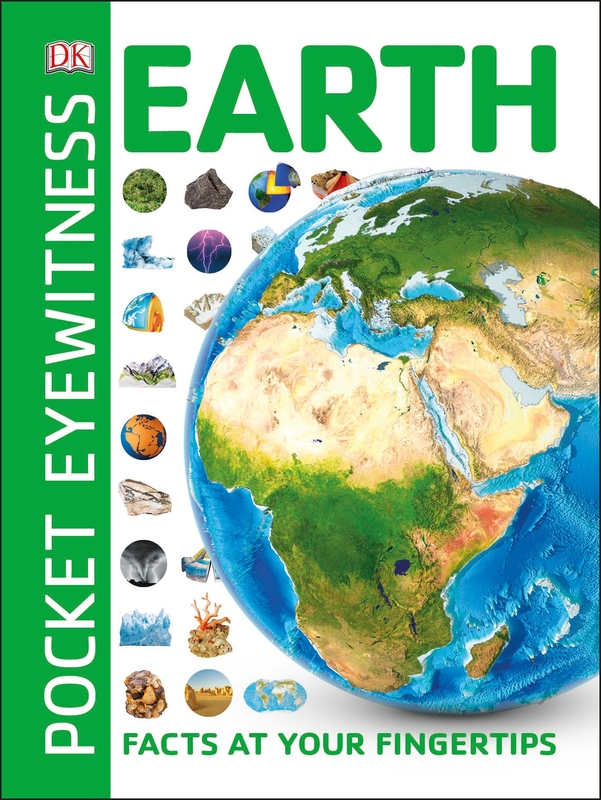 With Earth facts at your fingertips, Pocket Eyewitness Earth makes learning about our blue-and-green planet fun. Bite-sized chunks of information and stunning images help you explore Earth's volcanoes, mountains, rivers, forests, and seas. There are chapters, too, on weather and climate. Packed with profiles on more than 180 of Earth's major features you'll soon become a know-it-all on all things Earth. Get the facts and stats on the Nile, the world's longest river at 6,650 km (4,130 miles), see incredible pictures of giant crystals that weigh 55 tonnes each, and find out about the Mississippi tornado that tossed a train into the air. All this and more can be discovered in Pocket Eyewitness Earth, the handy pocket-sized encyclopedia of everything you need to know about our world!